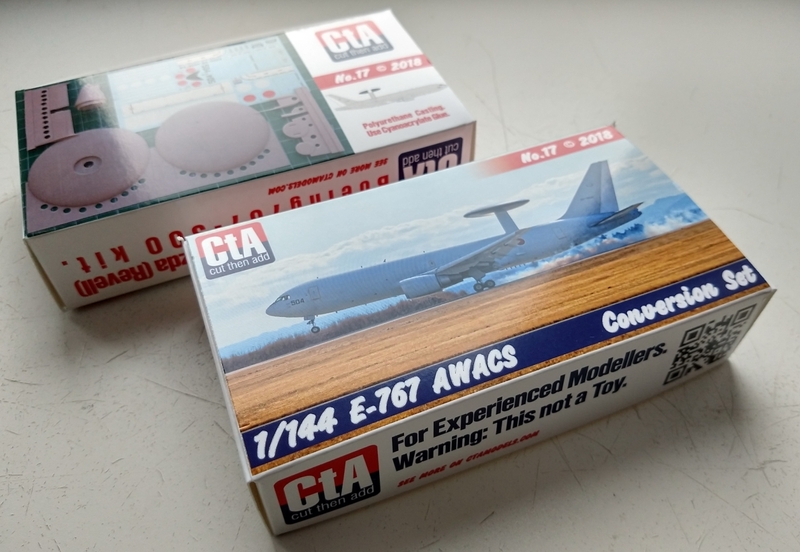 CTA proudly anounces that E-767 conversion set for B767-300 kits is available for orders. This set is intended for Zvezda 1/144 B767-300 kit but could be used with Revell's one as well. The set consist of 10 polyurethane parts, decal and instruction sheet.